Enjoy DCI 4K images in vibrant color with the Sony VPL-VW695ES HDR DCI 4K SXRD Home Theater Projector. 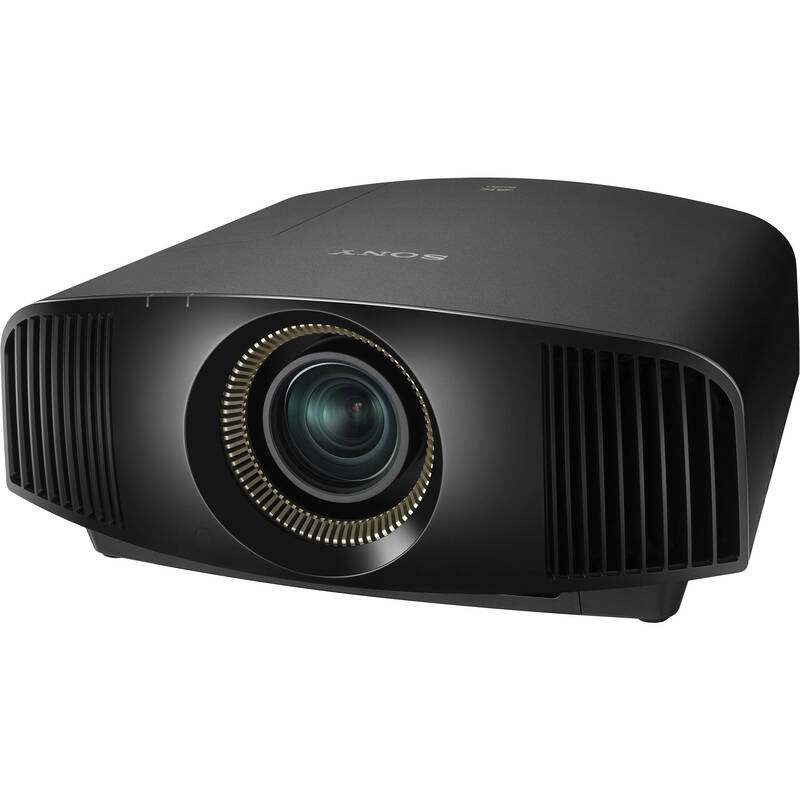 Its three SXRD chips combine with HDR compatibility to deliver enhanced color accuracy, while its 1800 lumens of brightness help ensure that your images are clear even with some ambient light. This projector has a 2.1x powered zoom, allowing you to place it far from the screen without losing focus. The VPL-VW695ES has two HDMI inputs for connecting your digital HD devices, such as your HD cable/satellite box or Blu-ray player. It is 3D compatible and will connect to many RF-based 3D glasses. As an added convenience, the projector includes a remote control. With up to a 1800-lumen brightness output and a wide 350,000:1 dynamic contrast ratio with Advanced Iris, 4K images show clear highlights and deep blacks. The VPL-VW695ES incorporates TRILUMINOS color to help reproduce crimson reds, aqua blues, and emerald greens, helping landscapes and seascapes look more vivid and skin tones seem more faithfully reproduced. The VPL-VW695ES can project native 4K content at up to 60 fps thanks to HDCP 2.2 compatibility, allowing you to enjoy 4K video from a range of compatible sources, including gaming consoles. The wide lens compatibility of the VPL-VW695ES enables you to use your existing anamorphic lenses, even with 4K content. With the fan exhaust positioned at the front of the projector, you don't need to worry about wall clearance and room for air intake/exhaust when installing, helping to maximize throw distance for larger possible projected images. VPL-VW695ES HDR DCI 4K SXRD Home Theater Projector is rated 5.0 out of 5 by 1. Rated 5 out of 5 by Scott from Great 4K PJ - horrible shipping container On Nov 20, the first VPL-VW695ES showed up. The box did not have any visible damage so I signed for the unit. Upon unpacking the projector and turning it over to attach a ceiling mount, I heard what sounded like a piece of plastic rattling around inside. I picked the projector back up, rotated it around a bit and could hear the object moving inside. At that point I stopped, took pictures and packed the projector back up. What appeared to have happened was the projector was dropped flat on its bottom, crushing the interior styrofoam and causing internal damage to the projector. I received an RMA and returned the projector for a replacement. In my correspondence, I stated that I am concerned that the probability of this happening again might be high. Can the replacement projector be packed in an additional box with some styrofoam peanuts or something to add additional ‘insurance’ to the shipment? The replacement projector arrived on Dec 4 and the shipping box looked like it had been part of a rock road show. It had not been double packed as I suggested. I opened the box in the presence of the FedEx driver and it did not appear that anything was loose inside and no cosmetic damage to the projector enclosure - I signed for it. I mounted the projector (ceiling) and set it up for my screen. The projector seems to be OK and has an amazing picture. Real disappointed in how the unit was shipped and handled considering it is worth more than $11,000.